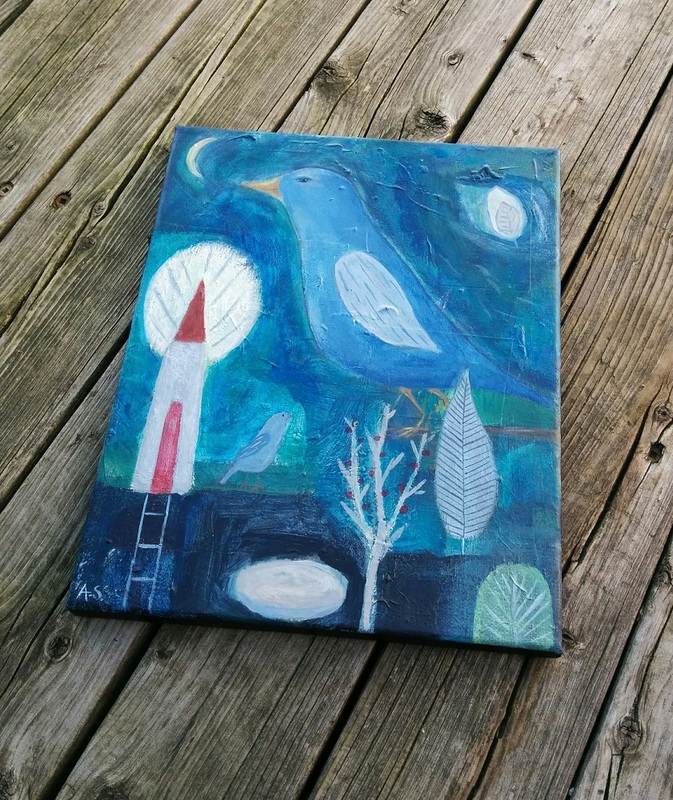 An original mixed media painting of a blue bird at night, on stretched canvas. It measures 8 x 10 inches. Please scroll down for more details. 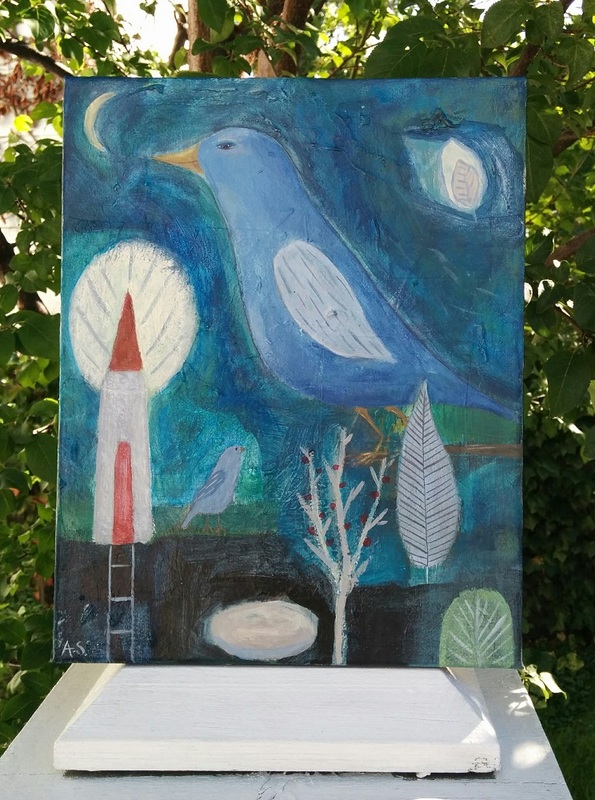 This original mixed media painting features a blue bird standing among his favourite surroundings including his little bird friend, house and trees. This piece has been completed with layers of acrylic paint and some paper which adds depth and interest to the painting. 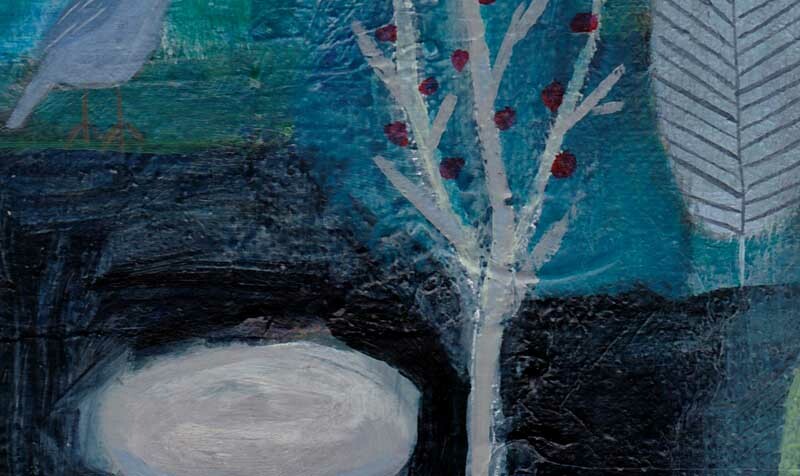 This item is an original painting, not a print or reproduction. 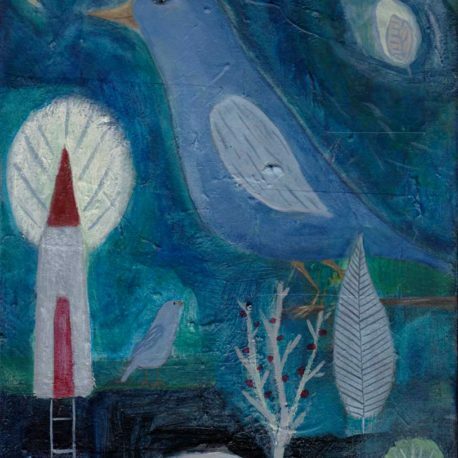 I have signed and dated the painting on the reverse side. This painting would be perfect for any space that would benefit from a feeling of peace and tranquility. 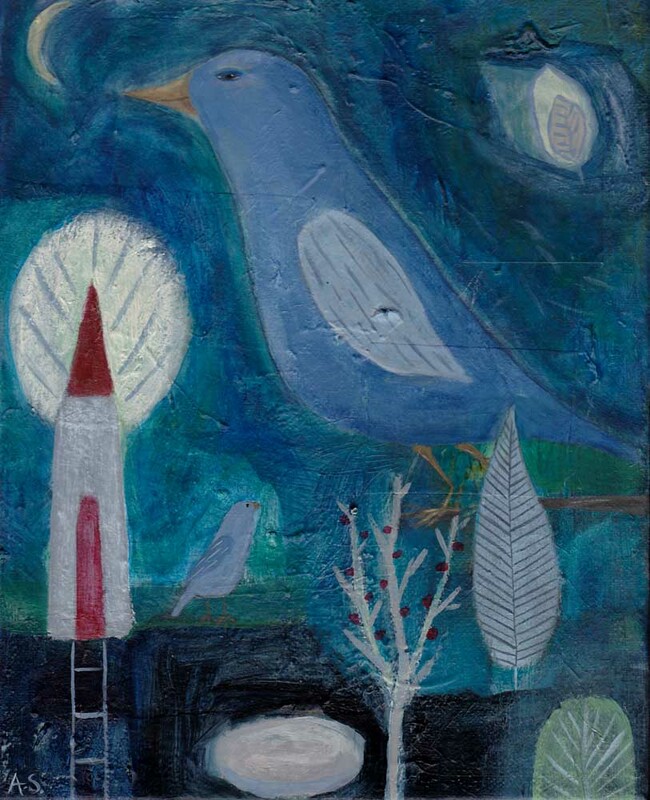 To see more original paintings, please click here. 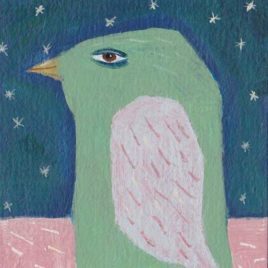 A small acrylic painting on watercolour featuring a green bird. Please scroll down for complete details including size. 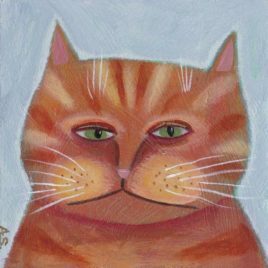 An original painting of an orange tabby cat. Please scroll down for the full description. 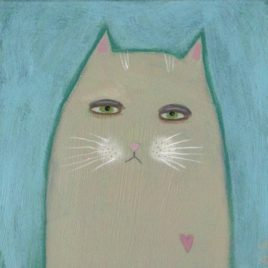 A small square painting of a cream-coloured cat. Please scroll down for size and details. 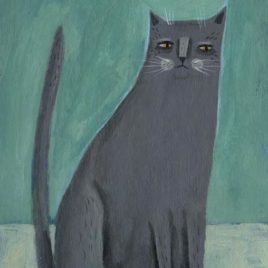 An original painting of a gray cat on cardboard. Please scroll down for complete details.